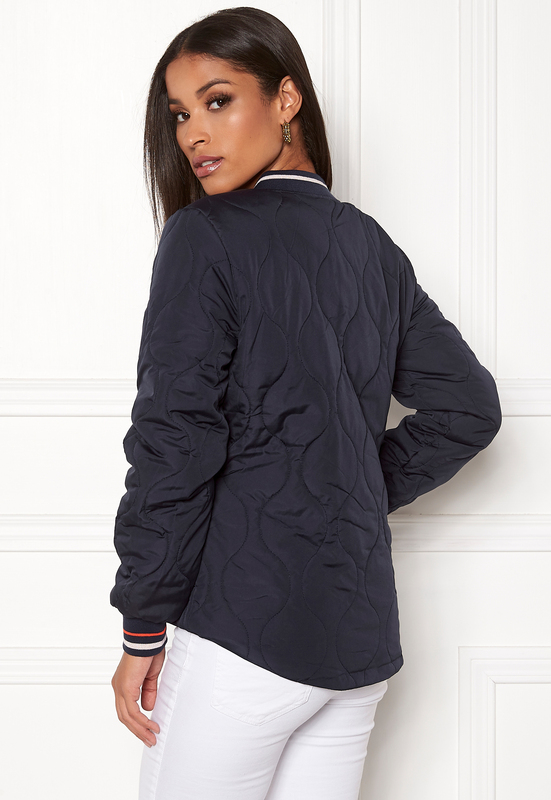 Beautiful quilted jacket from ONLY. 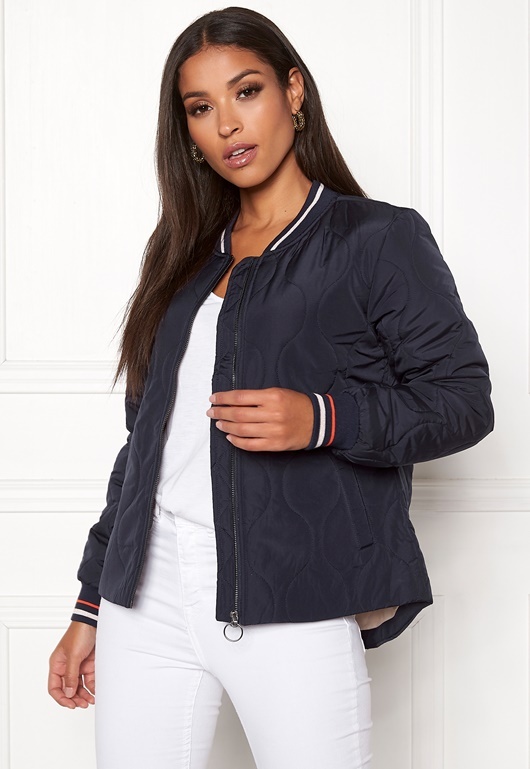 The jacket has a classical bomber jacket design with knitted cuffs at the neck and wrists. 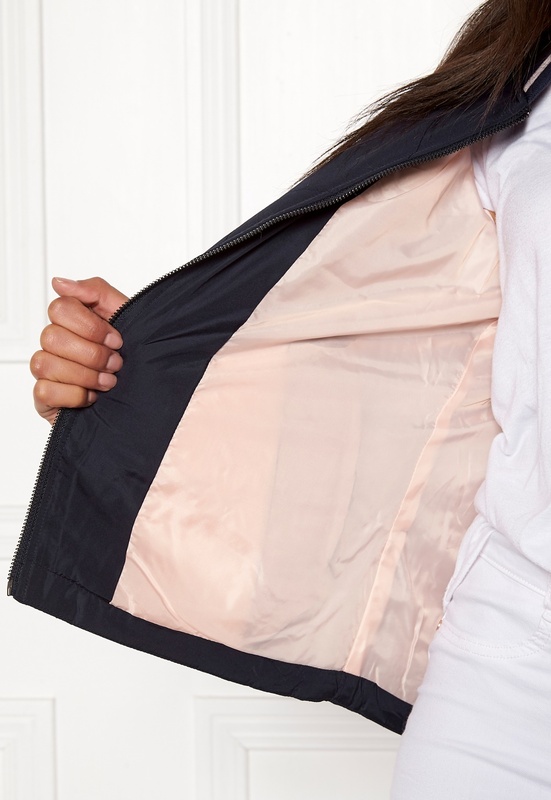 It is perfect for every day wear. - Unelasticated quality - Lightly padded with polyester - Closes using a silver-colored zip at the front - Knitted cuffs at the collar and wrists - Quilted - Two front pockets - Longer at the back that at the front Back length from shoulder 65 cm, in size S. The model is 172 cm tall and wears a size S. Machine wash at 30 degrees.